Cason Benton, M.D., was featured in the American Board of Pediatrics 2018 Annual Report, speaking about cultivating a culture of QI. Dr. Benton was awarded the ABP 2018 Paul V. Miles (PVM) Fellowship Award. Read the entire annual report here. This article first appeared in the Fourth Quarter 2018 Edition of the Alabama Pediatrician Newsletter. See full newsletter here. As announced earlier this summer, the Alabama Child Health Improvement Alliance’s (ACHIA) 2019 Collaborative #Stay Well: An Adolescent Well Visit Learning Collaborative, will kick off in January and run through September 2019. This quality improvement collaborative will focus on increasing adolescent well visit rates and clarifying practice consent, confi dentiality, and transition policies. In addition, practices will have the opportunities to track optional adolescent measures. “Pediatricians offer adolescents guidance through potentially turbulent times, however, teens have low annual visits. What can we do to increase adolescent well visit rates? That is what we will tackle in this learning collaborative,” said Nola Ernest, MD, FAAP, #StayWell physician champion and pediatrician with Enterprise Pediatric Clinic. Here are the top 10 reasons you should participate! 10. Teens are fun to have around...Really! 9. Dr. Preud’Homme, our content expert, and Dr. Ernest, our physician champion, are a hoot! 8. New this year: CME available at the Chapter’s Annual Meeting & Fall Pediatric Update or through online web modules. 6. You can tailor your experience with optional measures--such as increasing vaccination rates or screening for depression. 5. Upcoming Medicaid changes in patient panel attribution and incentives favor increased adolescent visit rates. 4. Practice improvements occur during the spring and summer, outside of the busy winter months. 3. You will obtain MOC Part IV while improving teen care! 2. You’ll be assured that everyone in your practice will be able to navigate consent and confi dentiality. 1. #Stay Well is a fun way to be sure your practice’s teens are receiving the very best care. Email Linda Champion at lchampion@alaap.org to register and for more information! This article first appeared in the Third Quarter 2018 Edition of the Alabama Pediatrician Newsletter.See full newsletter here. In March, the Chapter leadership learned that the Alabama Department of Public Health had reached out to school superintendents, encouraging the administration of adolescent vaccinations – Tdap, Meningococcal and HPV – via vaccine clinics carried out in schools (much like the flu vaccination clinics already administered). The Chapter leadership immediately responded with a letter and a face-to-face meeting with the State Health Officer to underscore the importance of the medical home and comprehensive well visits for adolescents. In late March/early April, the Chapter was also able to successfully advocate that the Governor not sign a legislative resolution that encourages schoolbased vaccination so that there would not be any legislative mandates on the table. Meanwhile, ADPH Immunization’s current goal is to increase state adolescent rates, especially for HPV. The current rate of up-todate HPV vaccination in Alabama is 18 percent and overall, the adolescent rate is 19 percent. The Chapter subsequently met with ADPH representatives, Department of Education staff and those representing mass school vaccinators to sort through ways to encourage the medical home and increase vaccination rates at the same time. Although it was clear that vaccination of adolescents in schools will move forward as part of the mix to increase vaccination rates, Chapter leaders were able to drive home the importance of protecting the medical home and the need for communication between primary care pediatricians and the schools if vaccines are administered outside of the medical home. Chapter Executive Director will be working with ADPH on the details of this communication. It’s important to note here that for VFC providers, point-of-service use of ImmPRINT for all vaccines is now required, with ADPH planning to require it for all providers soon. Partners at the meetings also agreed to push out information to parents and teens on the importance of seeing their doctor throughout adolescence. To that end, the Chapter is working with the Alabama Child Health Improvement Alliance (ACHIA) and adolescent pediatricians at UAB on a statewide flier for teens/ parents that simply states why the adolescent teen visit is so important. The flier will be part of a larger campaign, for which the Chapter hopes to partner with ADPH, that will parallel ACHIA’s 2019 quality improvement collaborative on the adolescent visit. The name for both: #StayWell! Also as part of this initiative, the Chapter is exploring advocacy for the medical home among students who play sports and only receive the required sports physical, which we maintain, is not a substitute for comprehensive adolescent care. This article first appeared in the Second Quarter 2018 Edition of the Alabama Pediatrician Newsletter.See full newsletter here. Pediatricians offer adolescents guidance through potentially turbulent times, however, teens have low annual visits. What can offices do to increase adolescent well visit rates? That is the question tackled in the Alabama Child Health Improvement Alliance’s (ACHIA) 2019 Collaborative #Stay Well: An Adolescent Well Visit Learning Collaborative. • provides CME/CEU and 25 Part IV Maintenance of Certification points. The collaborative will review preventive care recommendations as well as how to navigate thorny issues of consent and confidentiality. Practices may also select optional focus areas – screening for depression, healthy active living, screening for sexually transmitted infections, immunizations, or family planning. New this year: #StayWell CME educational content may be completed at the Alabama Chapter- AAP Fall meeting or online. Questions? Contact Cason Benton, MD, FAAP, ACHIA Medical Director, at cbenton@peds.uab.edu. This article first appeared in the Second Quarter 2018 Edition of the Alabama Pediatrician Newsletter. See full newsletter here. 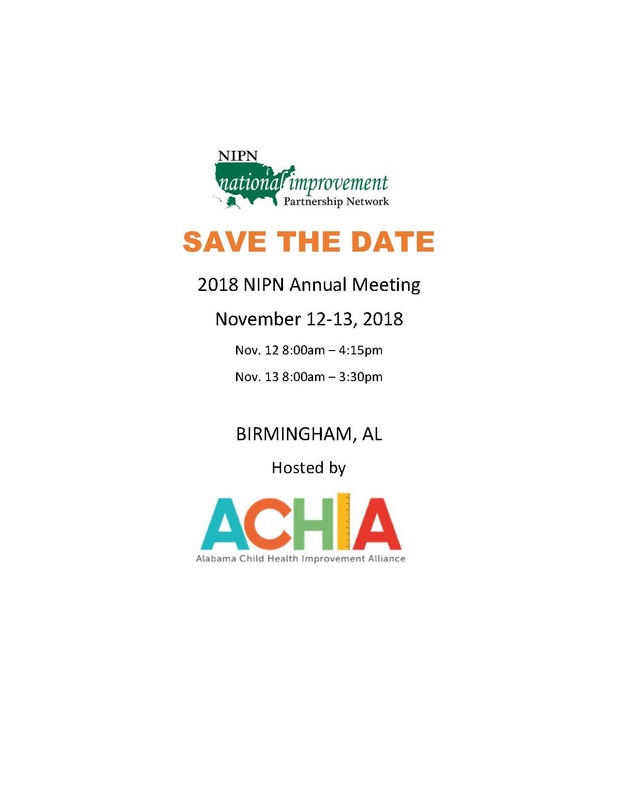 The 2018 National Improvement Partnership Network (NIPN) Annual Meeting will be hosted by ACHIA (Alabama Child Health Improvement Alliance) in Birmingham, Alabama, November 12-13. The meeting on November 12 will be from 8:00 a.m. to 4:15 p.m. and the meeting on November 13 will be from 8:00 a.m. to 3:00 p.m.
Elizabeth (Cason) Benton, M.D., has received the 2018 Paul V. Miles Fellowship Award from the American Board of Pediatrics, an honor that highlights a pediatrician who is dedicated to improving the quality of health care for children. An associate professor in UAB’s Department of Pediatrics, Benton is the founding director of the Alabama Child Health Improvement Alliance and also sees patients at the UAB Primary Care Clinic located at Children’s of Alabama. 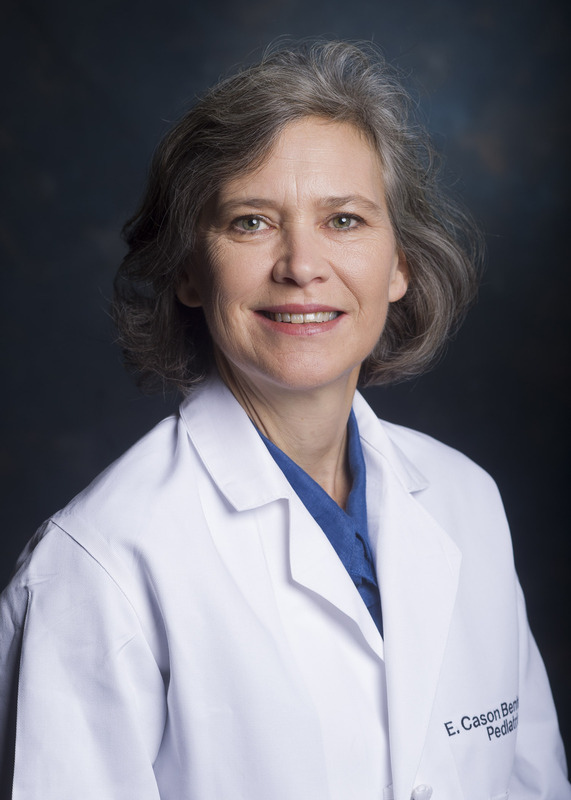 Her interest focus is in quality improvement in children, and she has helped lead the development of quality improvement initiatives at UAB and across the state of Alabama. Specifically, with the Alabama Child Health Improvement Alliance, Benton has developed and led five quality improvement collaboratives across the state regarding obesity treatment and prevention, screening for developmental delay, autism, social emotional issues, and preventing HPV-related cancers. To answer that question, ACHIA’s partners, including UAB and Children's of Alabama, weighed the impact and feasibility of more than 100 health measures during a year-long process guided by the UAB School of Public Health. ACHIA’s 2018-2020 quality improvement learning collaboratives will tackle these topics. The collaboratives incorporate the Model for Improvement, run over 9 months and provide Part 4 MOC and CME. Practices complete online modules taught by Alabama experts; benefit from QI coaching; and share best practices with one another on monthly webinars. Interested in partnering with ACHIA to work with engaged practices on these health topics? Contact Cason Benton, MD, FAAP cbenton@peds.uab.edu. Interested in participating in the 2018 Asthma collaborative? 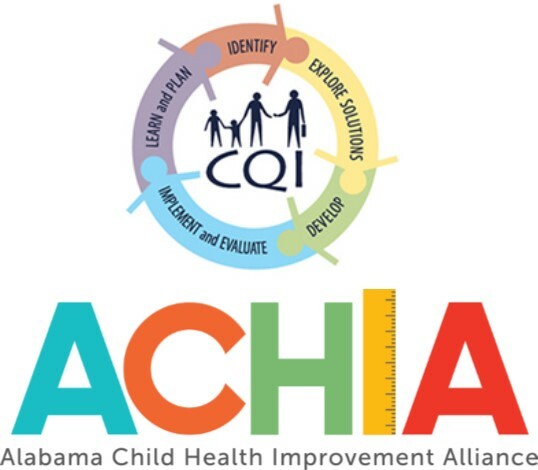 The Alabama Child Health Improvement Alliance (ACHIA) is enrolling practices in a learning collaborative to improve screening and referrals for children at risk of delays, autism, and behavioral concerns. Practices that want to start screening. Practices that want to increase screening consistency. Practices that want to switch screens from a paper to an electronic format. Additional benefits include MOC Part IV and the Ages and Stages Developmental Screening Tool ($295 value). The collaborative will run from January to September 2017. Enrollment is through December 31, 2016. Contact lchampion@alaap.org or click here to learn more.